Fears & Phobias of Eclipses | QuantumPhoenix.net – Esoterica, Paganism & Ritual Magic. As we head towards an annular Solar Eclipse on 20th May, and then a lunar eclipse on the 4th of June, 2012, I am aware that there are many people in the world – of certain religions – for whom this is a time of fear and trepidation! For example, Hindu scriptures of ancient times, advise people not to eat or drink anything for the actual duration of any eclipses. In the case of Solar eclipses, this is usually few minutes, but I remember from my own (Hindu) childhood days back in Sri Lanka, how long the lunar eclipses used to take, and how my grandmother used to say not to eat anything. In fact I recall that we were not even allowed to look at a Lunar eclipse at night – directly- and had to look at its reflection in a bowl of water! Yes, Solar eclipses should never be looked upon with naked eyes ) nothing short of high strength welders glass is safe!). That’s the Science. But not even scientists worry about lunar eclipses damaging people’s eye sights! Then there’s the other fact that quite often, Indian astrologers (and others) have predicted violence and all sorts of turmoil across the world after eclipses. (They did for the triple eclipses in same month, last year. But no such major world unrest came to pass, apart from the usual middle-eastern wars, and a number of long term dictators or terrorist leaders being `captured, killed or taken down’! It’s well known that in certain cultures, pregnant women are advised to stay indoors and avoid looking at Eclipses, to prevent their babies developing defects. Such cultures seem to advise prayers, fasting and ritual bathing, particularly in holy rivers. Recently, this month, in the United Kingdom, Channel 4 television broadcast – as part of their `Body Shock’ series – the plight of a 6 year old Colombia boy called Deider, who had a mole on his back so large that it was like a `shell’ and he was nick-named the `Turtle boy’ by some prejudiced people of his community. Those people had also held the belief that during pregnancy, Deider’s mother had one day gone to get the washing from the cloths line, and happen to have accidentally witnessed a full solar eclipse – which according to her culture’s beliefs would result in exposed mothers giving birth to disfigured babies. (Good news is various medical surgeons have operated on the boy and removed the large mole, so he now leads a normal life). I do not know if my mother was exposed to Eclipse light when she was pregnant with me. But I do remember that when I was young, my father took me out to show me a solar eclipse, by holding some strong filters (film negatives). This is not sufficient at all – by the way, and never should be tried ! The same one, we watched via a reflection being projected on to an inside wall. In one of his books. the late Issac Assimov – a brilliant Science-fiction writer- write a story called `Nightfall’ and later expanded it as a full novel. It depicts an alternate human society in another planet, where they had not witnessed a Solar Eclipse for centuries. There are religious classes and scientists amongst them, and the novel explores the panic, preparations and unravelling of a whole society, when they face their first ever eclipse! It was very much an end of the world scenario. (which is something we ourselves supposedly face at the end of 2012! That’s another matter). In my view, Hindu culture – one of the oldest religions of the world (12,000 yrs or more) – does have very good vedic astrological techniques that seem to be highly accurate in its predictive powers. So there may well be some truth in avoiding drinking or eating food, especially when it says Eclipse is better for cleansing, forgiving, prayers and meditative work. As far as science is concerned, there is absolutely no reason why eclipses – solar or lunar – should be feared by anyone! Our Sun & Moon have been getting eclipsed several times, every year, for as long as they have been in existence. I imagine a sudden blockage of the Sun in the middle of the day would alarm any primitive life form – birds, animals and members of neolithic tribes. For Sun worshiping cultures like the ancient Aztecs & Mayas of the South americas, eclipses would have had terrible and intense meanings. But I also imagine they would have worked out the stellar patterns and learnt to forecast when it would occur. I have been drawn to Eclipses, and been doing all sorts of magical works during and based on eclipses – for a good 15 years now. I personally see them as comic accelerators, and course-correctors. A recent magical work with my partner during an eclipse started to produce such noticeable behavioural changes between us, that any lingering doubts as to the power of eclipses is far gone- from my mind. 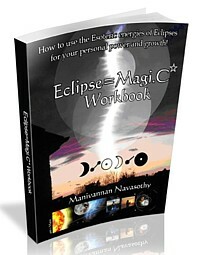 Which was one reason I began to write it all in a book, `Eclipse Magic’. As far as fears and phobias are concerned – on eclipses – it had never really occurred to me to fear them. Ps. 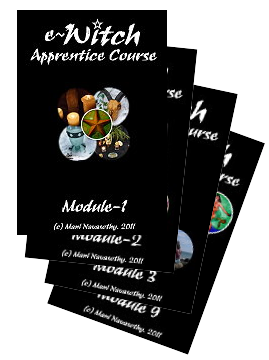 Learn to do Eclipse Magical work – accelerate or course-correct life issues, cleanse, recharge and balance the forces of Sun & Moon in your life.. Visit Eclipse Magic website for free resources and video & webinar tutorials.